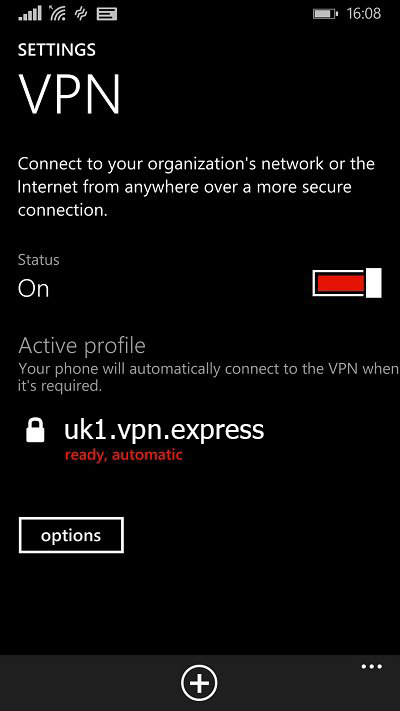 Windows Phone 8.1 has introduced static for VPNs, thus we have prepared a tutorial showing how to connect to VPNExpress and secure your traffic on your device. 1. 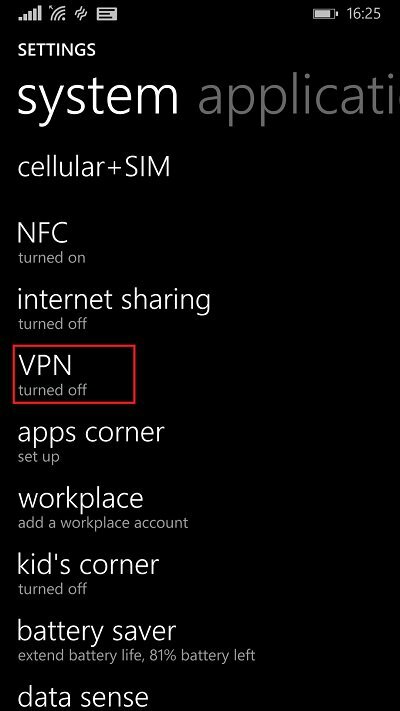 Go to Settings and then go to VPN. 2. 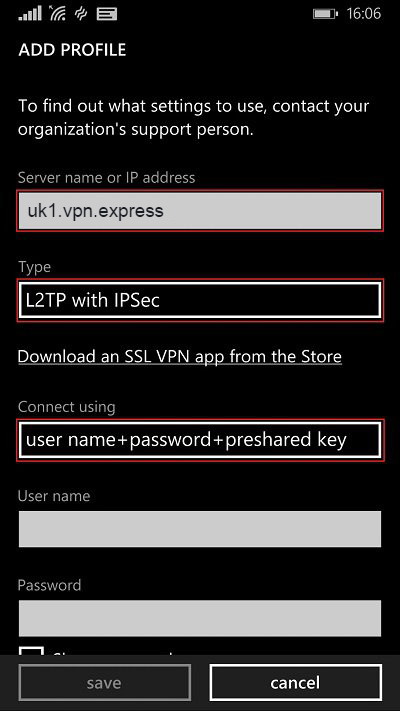 Tap on the Plus (+) sign to begin creating a new VPN profile. Connect using: Tap on Choose an item. 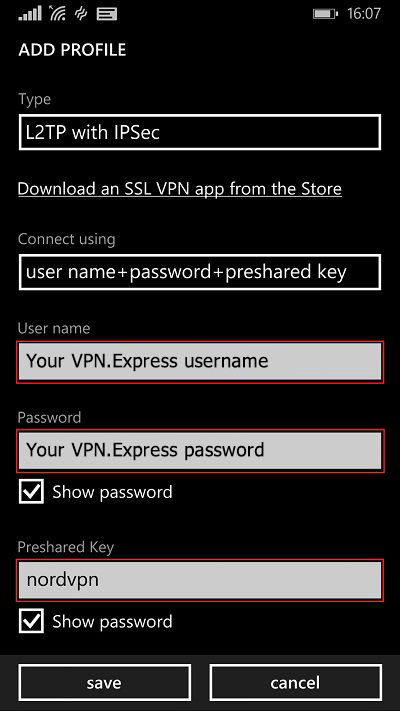 Then tap on user name + password + preshared key. You can rename your VPN profile name into anything you like, in this case it is the server address. 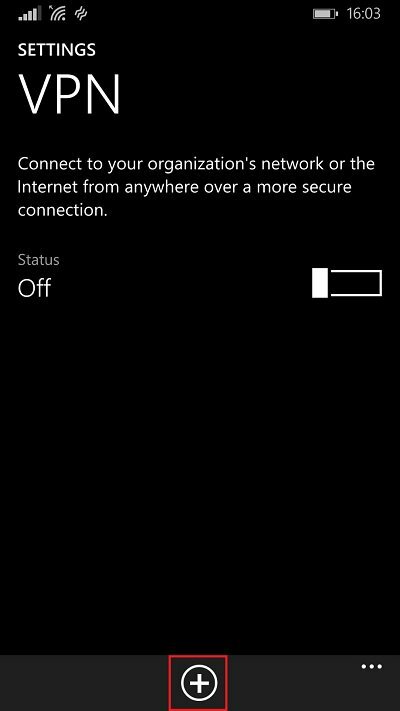 When you are done, please double-check the settings you have changed and tap Save. Please note that Advanced settings do not need to be changed. 6. 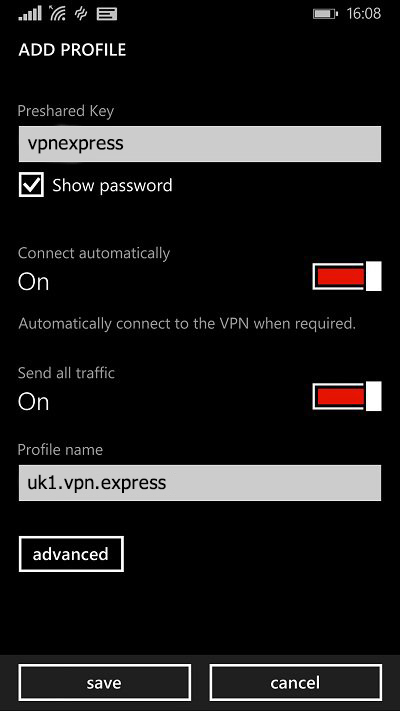 This is what your VPN profile should look like now that it has been created and activated.